The 2015 Australian National Championship in Fremantle has been run and won! Congratulations to the NSW Senior's Team of Peter Jeffery, Bob Sebesfi, Heather Cusworth, Richard Douglas, Mike Hughes, Kim Morrison and David Beauchamp (NPC) who won the Senior's division of the Interstate Teams. Also done well in ANC was the NSW Women's Team of Monica Ginsberg, Sybil Hurwitz, Avril Zets, Giselle Mundell, Patsy McCartney, Cathryn Herden and Judy Mott (NPC), who were runners up in the Women's. We always feel lucky when we are dealt powerful hands. One hand in the Sydney Bridge Centre Winter Teams created a wow factor, how did your team go? And plenty of interesting boards in the Brisbane Water (Woy Woy) Super Congress. Click the following to read some detailed reports from congress players. All results and photos can be found HERE. Our roving writer Rakesh Kumar went to the Brisbane Water (Woy Woy) Super Congress Teams on the 26th July, and showed us why sometimes any form of ace-asking is unnecessary to bid a slam. Matthew McManus had been busy directing in the ANC (a two-week national congress!) and well deserved a break. Let us review one of his previous articles "How hard is Bidding?" Winners of Taree Bridge Club Teams on the 5th July. The winning team (left) – Greg and Sharon Mayo, Amber Noonan (host), Sally and Garry Clarke. Runners up (middle) – Ken Wilkes, Tony Howes (Director), Rosalie Broughton, Amber Noonan (host), Mike Simes, Michael Johnson. 2nd Runners up (right) – Jenny Michaels, Amber Noonan, Shirley and Noel Crockett, Anne Rutter. Winners in the Intermediate and Novice division in the Taree Bridge Club Teams. Intermediate (left) – Jim Thatcher, Carolyn Seymour, Trish Thatcher, Amber Noonan. The best Novice Team (right) – Judy Haliday, Margaret Sylow, Bev Cleary and Patricia Healey with Amber Noonan. Champions of the Grafton Bridge Club Swiss Pairs. A Grade Winners (left) – David Tucker and Sarah Strickland. B Grade winners (right) – Margaret Lawrence and Adele Liddle. Want to plan further ahead? Click HERE to view the full congress calendar. Does slam must involve ace-asking? Let Rakesh Kumar show why sometimes it is unnecessary. Why pass after taking too long to decide will put your partner under ethical pressure? Let us review one of Matthew McManus's previous articles "How hard is Bidding?" 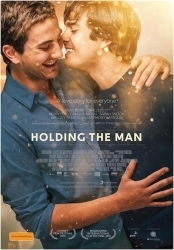 ShowFilmFirst would like to invite you and a guest to a special advance screening of HOLDING THE MAN directed by Neil Armfield and starring Ryan Corr, Craig Stott, Anthony LaPaglia, Kerry Fox, Sarah Snook and Guy Pearce. HOLDING THE MAN is released nationwide on August 29. Click HERE for our current "interim" list, as at 30th April 2015.